, commonly called Cousin Jaques, a very eccentric French writer, was born at Laon Nov. 6, 1757. 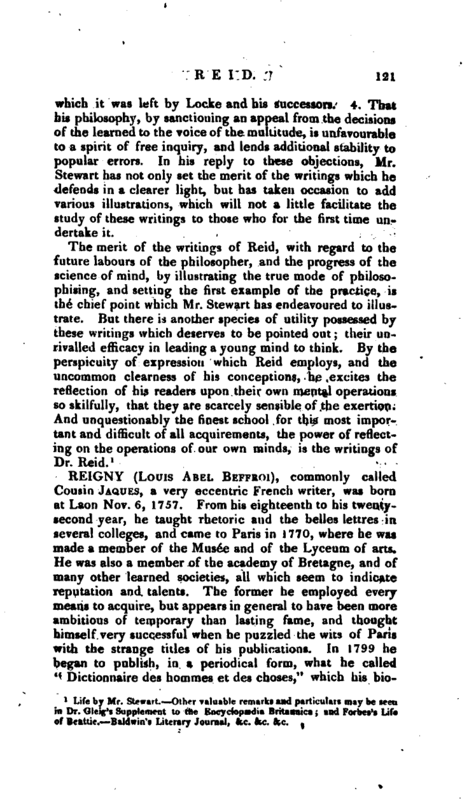 From his eighteenth to his twentysecond year, he taught rhetoric and the belles iettres in several colleges, and came to Paris in 1770, where he was made a member of the Musee and of the Lyceum of arts. He was also a member of the academy of Bretagne, and of many other learn’ed societies, all which seem to indicate reputation and talents. The former he employed every means to acquire, but appears in general to have been more ambitious of temporary than lasting fame, and thought himself very successful when he puzzled the wits of Paris with the strange titles of his publications. In 1799 he began to publish, in a periodical form, what he called “Dictionnaire des hommes et des choses,” which his | biographer styles a whimsical work, without informing us in what respect. Something political seems to have entered into its composition, as after he had published several numbers, it was suppressed by the police. He tried his talents likewise on the theatre; and if success be a proof of merit, had no reason to complain. His plays were, 1. “Les ailes de l’amour,” which was performed at three theatres. 2. 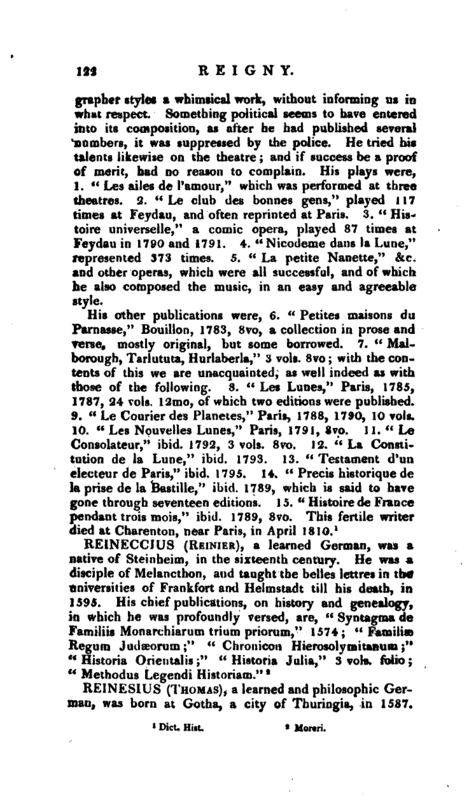 “Le club des bonnes gens,” played 117 times at Feydau, and often reprinted at Paris. 3. “Histoire universelle,” a comic opera, played 87 times at Feydau in 1790 and 1791. 4. “Nicodeme dans la Lune,” represented 373 times. 5. “La petite Nanette,” &c. and other operas, which were all successful, and of which he also composed the music, in an easy and agreeable style.